It is Tuesday, April 2nd; music and people fill the streets of Caracas. This is the official opening day of the campaign for Presidential elections in Venezuela, due to take place on April 14th after the death of Hugo Chavez. 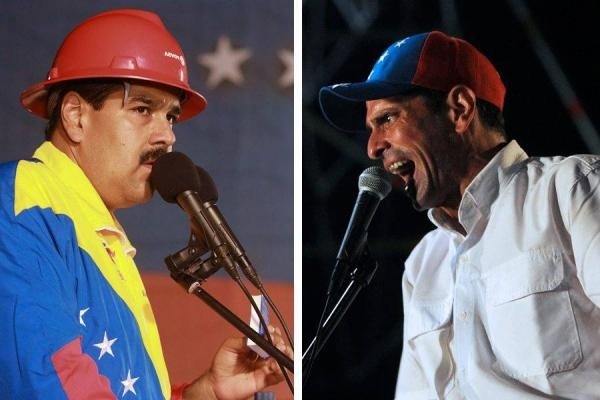 The candidates, Nicolas Maduro, former bus driver, ex-Vice-President and the man Chavez personally named as his successor, and Henrique Capriles, the main opposition candidate who lost to Chavez last November, are both kicking off their tours of the country. But, as journalist Reinaldo Iturriza once told me, these are not “normal elections” that take place here in Venezuela. From the beginning, the political campaigns are vibrant, colorful and visible everywhere you turn. It is Tuesday, April 2nd; music and people fill the streets of Caracas. This is the official opening day of the campaign for Presidential elections in Venezuela, due to take place on April 14th after the death of Hugo Chavez, a popular leader who had won a total of fifteen elections during his fourteen years of rule. Nicolas Maduro, former bus driver, ex-Vice-President and the man Chavez personally named as his successor, kicks off his tour of the country in Barinas, the state where Chavez was born and the heart of the Venezuelan countryside. 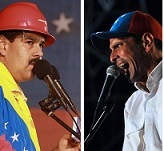 Henrique Capriles, the main opposition candidate who lost to Chavez last November, had originally announced that he would start in the same place, but changed his plans after his local team warned of the tensions such a clash of dates could cause. But, as journalist Reinaldo Iturriza once told me, these are not “normal elections” that take place here in Venezuela. From the beginning, the political campaigns are vibrant, colorful and visible everywhere you turn. Carmen Hidalgo, aged 23, was born in Barinas, but currently lives and studies in the Andean city of Merida. She has worked for Mision Ribas, an educational program set-up by the government in 2003 to provide classes and qualifications for people who had never completed high school. Carmen describes her home-town as “tender and sweet Barinas, full of friendly and very hard-working people. Where the struggle every-day is to grow, and not only economically but also intelligently, always united together.” Huge crowds turned out to greet Maduro in Barinas on Tuesday, a sign that opposition claims that the Bolivarian project will cease to exist without Chavez may not be as accurate as they wish to portray. Nevertheless, Chavez’ images does continue to dominate the government’s re-election bid; indeed, their campaign is named after him! Carmen says that everyone knows that Capriles is “totally immersed” with the US government, and claims the opposition candidate recently travelled to the country to “plan a campaign of destabilization”. Nevertheless, it is largely a spirit of positivity that has been prevalent in Caracas in recent days. On April 14th, millions of Venezuelans will go out to vote for their next President, possibly in larger numbers than ever before. The central hope is that the results of the elections will be adhered to and respected. Will Obama’s Legacy Be a Death Squad Government in Honduras?